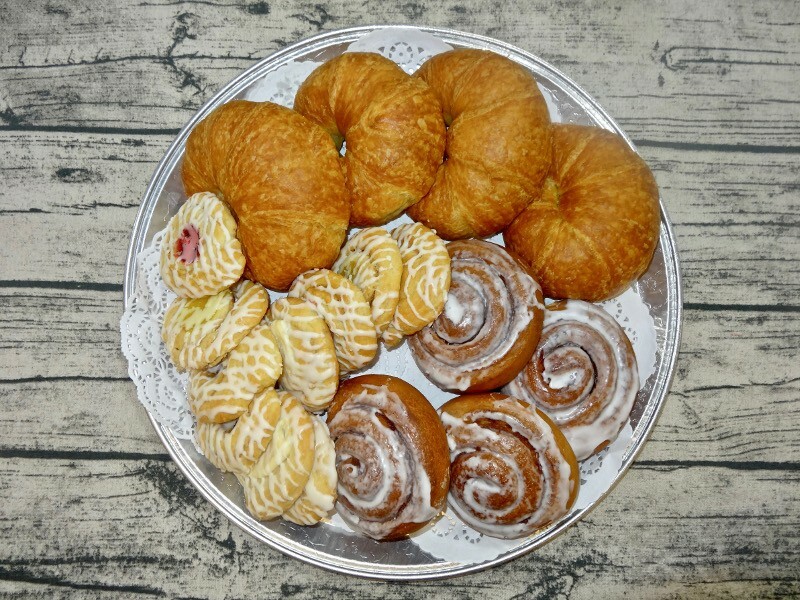 A perfect way to start your day, this platter features 4 each of our Jumbo Fruit Danish, Jumbo Cheese Danish, Cinnamon Buns, and Croissants. A perfect way to start your day, this platter features 4 each of our Jumbo Fruit Danish, Jumbo Cheese Danish, Cinnamon Buns, and Croissants. Serves 12.